How do you help a giant grow even bigger? Amazon needed to create the right platform for the right people at the right time, and we helped build the right channels to bring them together. 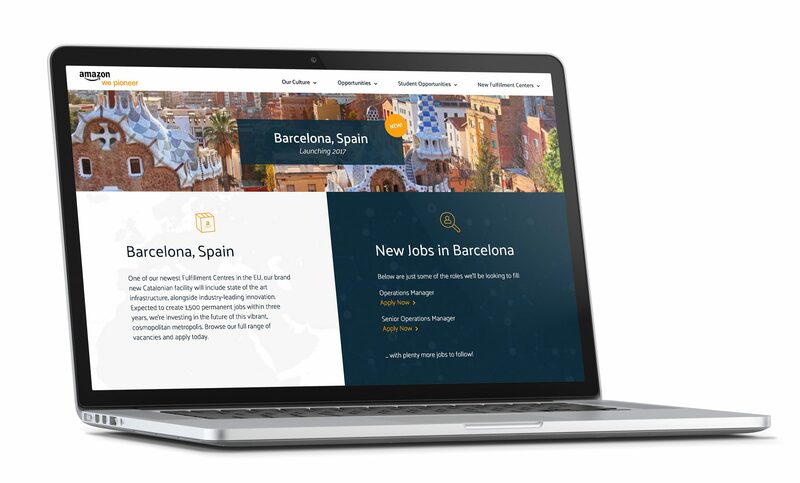 By deploying an integrated suite of game-changing tools for their European recruitment drive, we assisted Amazon to launch their most successful European talent acquisition platform yet. This included custom front-end development for a CMS (Content Management System) platform, plus a marketing strategy, which included new channels and assets to boost job promotion and recruitment. The solution also included a comprehensive reporting dashboard for publishing, responding to, and tracking individual roles, saving their team time and money in their recruitment efforts. In building a picture of the company’s current and target audiences, it became clear that we needed to hone the offering down to one brand and digital strategy for the European market highlighting who Amazon was and what, in fact, they offered. This insight underpinned our development and communications work. 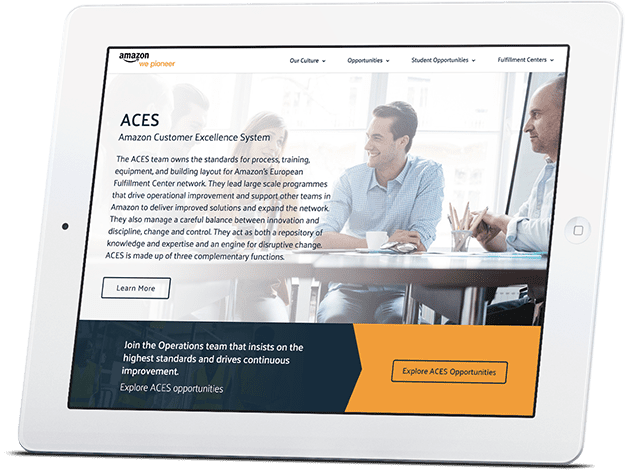 By creating simple, integrated tools, we helped Amazon launch more effective marketing campaigns with faster response times that resulted in more leads, increased quality of applicants, time and cost-per-hire savings. and in the first three months, they had doubled their application intake and seen a marked improvement in the quality of every applicant. It’s safe to say we exceeded expectations going from introduction to Amazon’s number one recruitment source across Europe. Monitored performance of advertising efforts across Europe, including click-through rates (CTR), cost per click and impressions. Provided tactical creative required by Amazon’s creative agencies across Europe, making adjustments for each country based on its exposure to the Amazon brand. Geo-fencing was used to target ads to audiences in the vicinity of Amazon’s fulfilment centres, making them more relevant.